Here, we would like to offer you, our tour package in Jogjakarta and beyond. This tour package duration is 3 days 2 nights. > Kraton Palace : is the palace or can be called “Kraton”, used to be the central of Jogjakarta kingdom, besides, this palace also as tourism object. > Taman Sari, Water Palace : is located approximately 1 km to the southwest of Kraton Jogjakarta. This is a one of heritage buildings was built during 1758-1765. Formerly, it was functioned as a recreation facility of Sultan and his family, now this building became tourism object. > Bird market : is one of favourite tourism destinations jogjakarta. You will see many local people here selling the birds, and other various of animals like, fresh water fish, dogs, cats, and others kinds of pets. > Batik village : BAtik is waxing traditional thecnique on the fabric to became a cloth, its originally from indonesia. Its recognized officially by UNESCO in 2009. Batik also has some various of colour and motif, there are three type of Batik, those are Drawing Batik, Stamp Batik, and combination between Drawing and stamp Batik. In Batik village, is not only to buy Batik collections here, but also you could see the process how to make a Batik and you have a chance to practise how to waxing on the fabric. 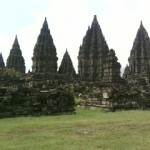 > Prambanan Temple : Largest Hindu temple in shoutheast of Asia, was built in 9th century, by Rakai Pikatan as the Hindu Sanjaya Dynasti. Located not far from Jogjakarta city and Borobudur temple. After fullday jogjakarta city tour and Prambanan temple, our staff will transfer you to your choosen hotel in Jogjakarta city. Free program. 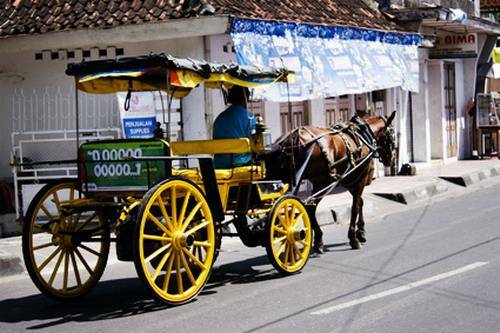 # Day 02 : after having breakfast at the hotel, our staff will pick you up and proceed to Borobudur temple. 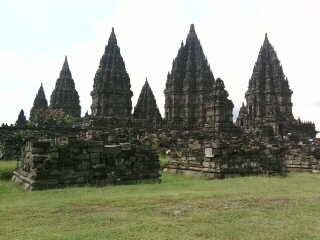 The great Budhist temple, built in 8th Century. Located at shouth of Magelang, Central java. after Borobudur tour, on the way back to jogjakarta city, you will visit silver smith. Here, you will see the process how to make a jewelry from silver. 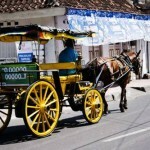 Before go back to hotel, our guide will accompany to walk arround the city by local traditional transportation ( Andong ). After walk arround by andong, then go back to hotel. # Day 03 : after having breakfast, waiting for our pick up service to airport or train station ( Jogjakarta city ). End of service.